Texas Border Collie Rescue View other Border Collies for adoption. Drew: 3 yr Male BC/Aussie Activity Level: Sports Companion/Active Companion Diet: Instinct Duck & Pea/Red Meat Raw & Veggies Special Talent: Fantastic Air Kiss w Hug/Up for Anything; Clicker Trained/Responsive/Whistle Responsive Training: Heavy Socialization/Positive Boundaries Experienced Dog/BC Owner Potentials Drew is the kind of Border Collie that reads my mind with his eyes, attention to my body language, and wicked smart. He can be a hyper fellow who loves to work/think at home and on the leash, cuddly with great curls and an awesome air kiss hug trick. This pup just enjoys life so much and loves to play, great with any training I give him mostly in our environment incorporating that into play in the yard, on the leash, special toys enjoying new play games. Drew is looking for an experienced dog person who understands the sensitivities of the Border Collie and may not be suitable for off leash; lots of room to run and play; 6 foot Wooden Fence; human break during a work day. You see his litter came to my rescue July 4th 2014 at 4 months of age which is a prime life experience for any dog. Drew overcame a lot of fears and had some imprinting from the owner reaching/grabbing all the 8 puppies running free on her 3 acres in Louisiana. He is still learning about strangers and how they should approach him for the best positive experience so he can play with them and give those amazing kisses! 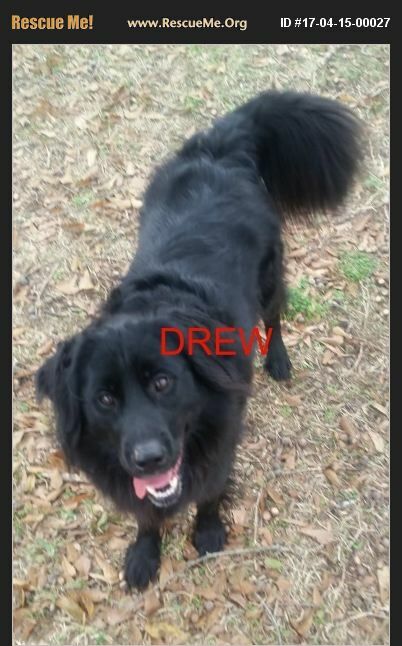 Drew would do great in a home that can further his understanding of the world, create fun games when playing outside, enjoy taking 'working' walks/hills walks-hikes (away from sidewalk and using tricks) and his settle for the day will rise and shine. I do feel he would benefit from another dog from in the home that would be his activity level and enjoy fun BC/Aussie play and or another close knit group of dog friends he can enjoy weekly play time with; he would do well with a BC experienced school age child, crates nicely with a break during a work day, a 6 foot fence is required, and follow his diet as his colon is super sensitive and all of his training/diet have been laid out for the next journey in his life! If an out of area applicant would be a potential match it is required they come to Houston to meet Drew and potentially stay a few days to further the matching process.